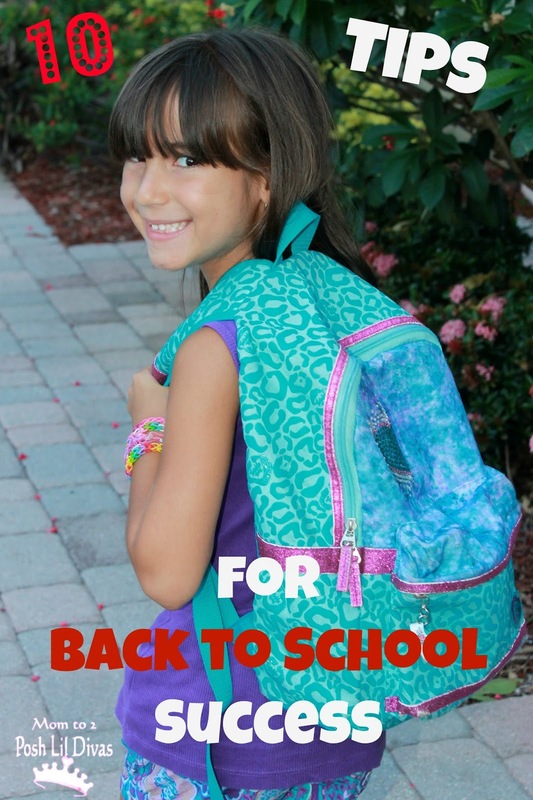 Google+ Mom to 2 Posh Lil Divas: Help Your Child Have a Successful & Positive Back to School Experience! 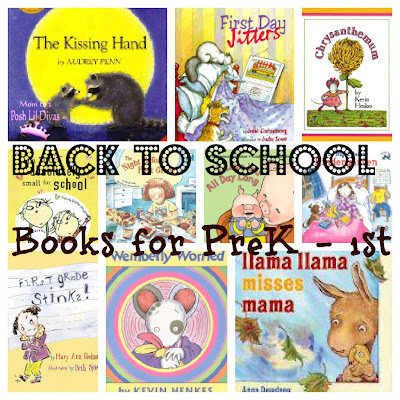 Help Your Child Have a Successful & Positive Back to School Experience! Wow, I can hardly believe it's Back to School time already! The Lil Divas are in their 2nd week of school and I'm sure many of you are in "Back to School Prep Mode" so I thought this was the perfect time to share some tips on how to have a successful transition back to school from those lazy and carefree days of summer. Getting the school year off to a good start can influence a child's attitude, confidence, and performance. Yet, that transition from August to September/Summer to School can be difficult, and not only for children/students - but for parents as well. So, how can we get everyone back into school mode easily? I have taken my 12+ years of teaching experience and come up with this handy list of the Top 10 things that can help make Back to School a painless & positive experience for both children and parents. 1. Re-establish bedtime routines - Preferably a few weeks before school starts begin to gradually adjust bedtimes. Over the summer break we tend to let kids stay up later, engage in activities later at night than we normally and wake up later than usual. It is important to make sure children are well rested when school starts and the best way to ensure this is to get them to bed early and start waking up at the time they would need to be up for school a few weeks prior to the start of school. Adjust bedtimes 15 minutes or so at a time every few days until you reach the desired bedtime. When school starts - getting kids to bed will be easy because they will be used to the nighttime routine already! 2. Turn off the television, limit toys & play and set aside some daily quiet time when children can read, practice skills such as writing, cutting, coloring, etc. Even if it's only for 20-30 minutes a day this will help get kids focused and ready to spend some time engaged in school activities. 3. If possible visit the school with your child before the 1st day - this is especially crucial for preschoolers and kindergarteners just starting school or children entering a new school. The unknown is scary for all of us. Letting children get a feel for their new school will help ease some of their uneasiness. 5. DO NOT OVER SCHEDULE! We all want our children to be well rounded and while extra curricular activities can be fabulous - too many can also be draining on everyone. Children should not be running from place to place after school - it becomes too much. Setting limits on after school activities is essential. 6. Give yourself EXTRA Time - Do as much prep work the night before as possible. For example, pick out & iron clothes, pack lunches and give yourself a few extra minutes in the morning in case anything unforeseen comes up. 7. Be positive - many children are nervous, anxious and worried about starting school. As parents, it is important to be the voice of calm and reason - to be positive and encouraging in the face of their fears. Let your child voice their concerns and address any valid issues. We are our children's first line of defense and they need to know that they can discuss anything with us. 8. Set aside a quiet place for homework in your house - Children need to be able to think and focus on their homework. Even if you do not have the room to set aside a homework space you can set aside a quiet time for homework. This should be followed by all family members - keep younger siblings engaged in quiet activities to minimize distractions and enforce a NO TV rule during this time. 9. Be involved - be sure to check your child's backpacks, folders and school correspondence nightly. This will ensure you don't miss any important school notices, meetings or teacher notes. Remember it is important to also check your child's homework nightly. 10. Volunteer - be an active part of your child's classroom and education. Even if you can not volunteer in the classroom many teachers have opportunities for you to help from home (cutting, stapling, etc). This shows your child you are hands-on with their education and care about what is happening in their classroom. If you can volunteer in the classroom or attend field trips - do it! Younger children LOVE having their parents help out and it's a great way to see first hand how the classroom is run and how your child interacts with their teacher and fellow students. 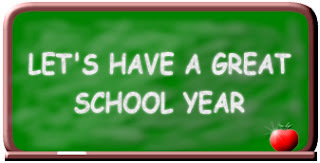 I hope this list is helpful to you & I wish everyone a fabulous school year! 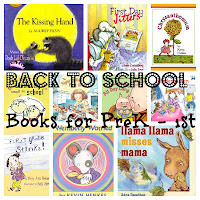 If you're looking for books to help calm those First Day Jitters check out my list of Favorite Back to School Books for Preschool thru 1st Grade. for even more great activities, resources and ideas! We've been having a hard time adjusting back to normal bedtime routines. My kids just aren't tired, but they need more sleep! I have to drag my 7-year-old out of bed in the morning. We (they) have been going to bed earlier and getting up in prep for school next week. We go to his school and meet the teachers this Wed.- so excited!